Another 14 wins & 14 nominations. There were only 11 episodes in the first season, so it seems a little premature and overenthusiastic to call this the funniest and best show on television, but I'm tossing it out there anyway. Too much of the Adult Swim programming is mean-spirited and ugly, but "Rick & Morty" balances its cynicism with moments of genuine familial and societal warmth. 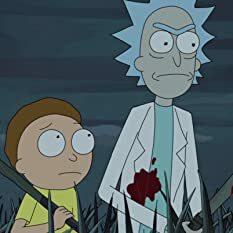 The characters are well-developed and evolve over the course of the season, and the voice talent is gifted -- Chris Parnell is the secret weapon as Morty's not-too-bright dad. 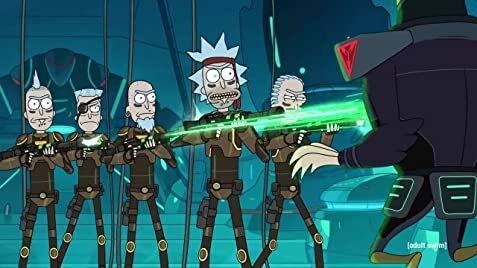 The Pilot is the only episode I was Luke-warm on, because it's the only one where the nastiness overwhelms everything else, but it fits well into the course of the entire season because it gives the bitter alcoholic grandfather Rick something to grow away from, and the first year gets better and better as it rolls along. There isn't a lot of TV I can watch with my son, but this is just about the best of it. 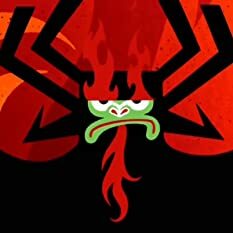 Can't wait for season 2, and I hope there will be more than 11 episodes. Chris Parnell, the man who plays Jerry, was on Saturday Night Live for six seasons, and was one of only two people to have been fired and then rehired by Lorne Michaels. Brad Anderson: Perhaps you should consider being a Creative. I'm haunted by uncontrollable thoughts of mutilation and sexual assault on a Daily Basis, but I channel it into my work. Morty: Strange, I didn't get any sense of that from Marmaduke. Morty is in high school, so he should be in algebra classes for math. However, Mr. Goldenfold is shown only teaching his classes simple arithmetic. One of these incidents is in a Simulation. There is a scene based on what happened earlier is shown at the very end of the credits of most episodes. 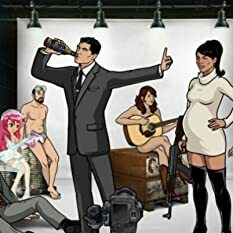 The DVD/Blu-Ray release of Season One un-censors all cursing/profanity from episodes that are bleeped in televised airings.